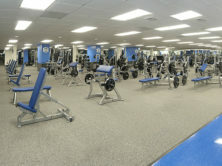 These interior renovations included modifying the Women’s Health Center and the Men’s Free Weight area. The work in the Women’s Health Center consisted of demolition and replacement of ceramic tile for rest room showers and total replacement of sauna. 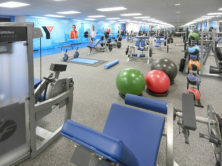 Modifications to the Men’s Free Weight area including demolition and expansion of the entire area plus the installation of new rest rooms. “Edifice has been a competent and collaborative partner in our efforts to dramatically improve the Women’s Health Center and Free Weight Room. I commend this firm on their professionalism, quality construction and clear communication that was provided throughout this project, resulting in a beautiful renovation and expansion for our facility”.